Welcome to our new home! We are the Szmyt Family and we live in a small town in New Hampshire. My husband, Josh and I just bought our first single-family home and I am so excited to share it with you! My aesthetic is an interesting mix between mid century farmhouse cottage. I am a big antiques collector and love to showcase my favorite items in my home. I also have an Etsy shop for items that I love but that don’t really fit into my decor. 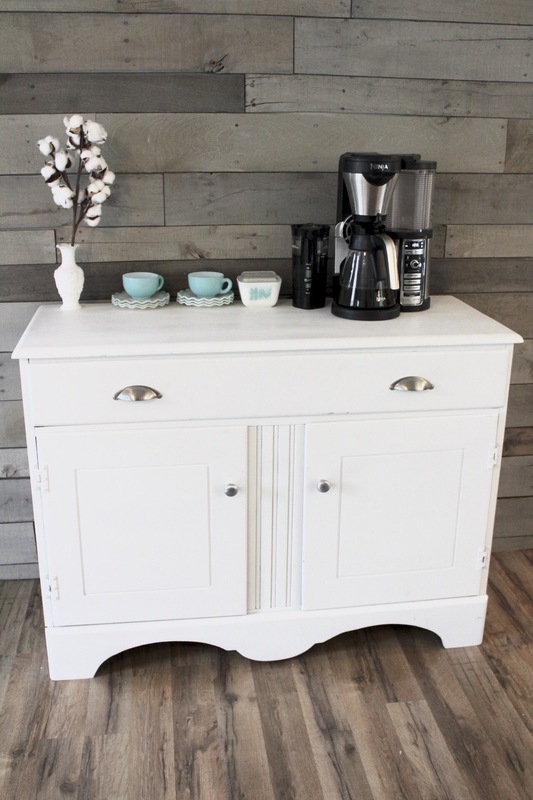 For the past several years I was really big into collecting mid century items everything from the 50s and 60s but I’ve kind of adopted the whole farmhouse cottage look and I’m finding a way to integrate my favorite pieces from the 1950s into a vintage cottage appearance. 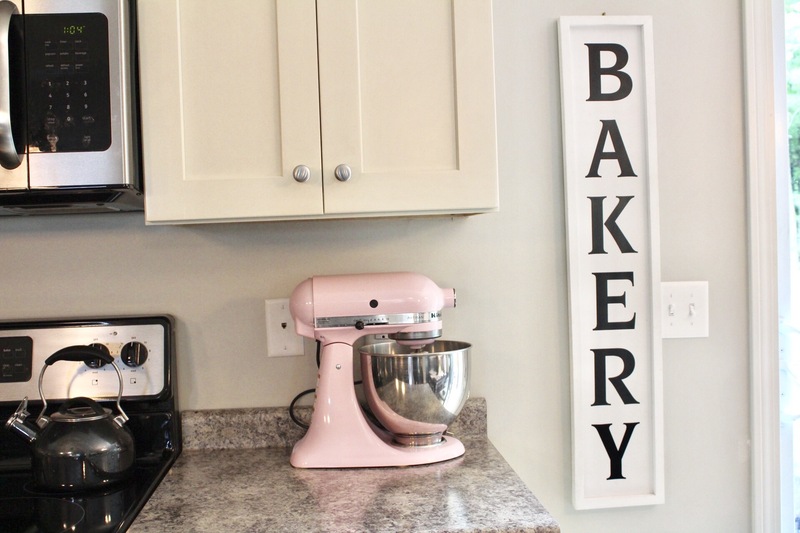 There are a few reproduction pieces that I own, this bakery sign being one of them. It was made locally by a woman in a surrounding town. I love the simplicity and clean lines in this piece. 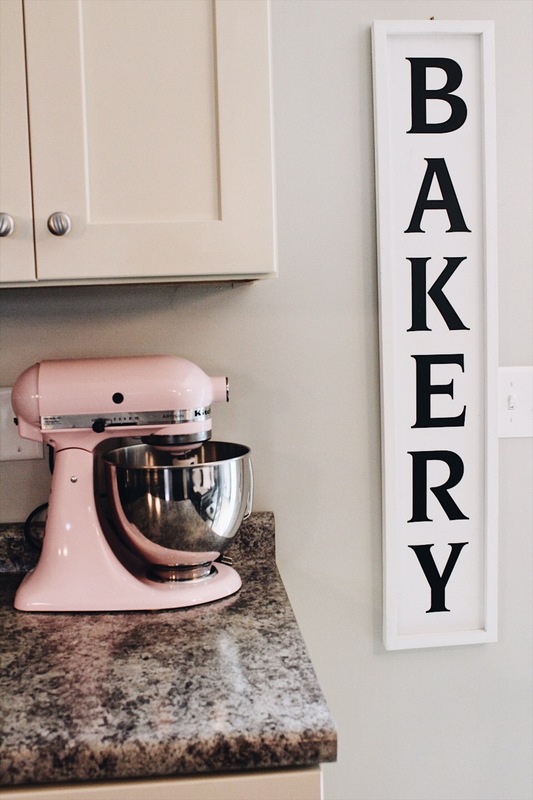 A staple in my kitchen that I use all the time is my pink Kenmore mixer! My husband hit the nail on the head with this as a gift for a birthday/Valentine’s day gift one year (since my birthday falls close to V-day. 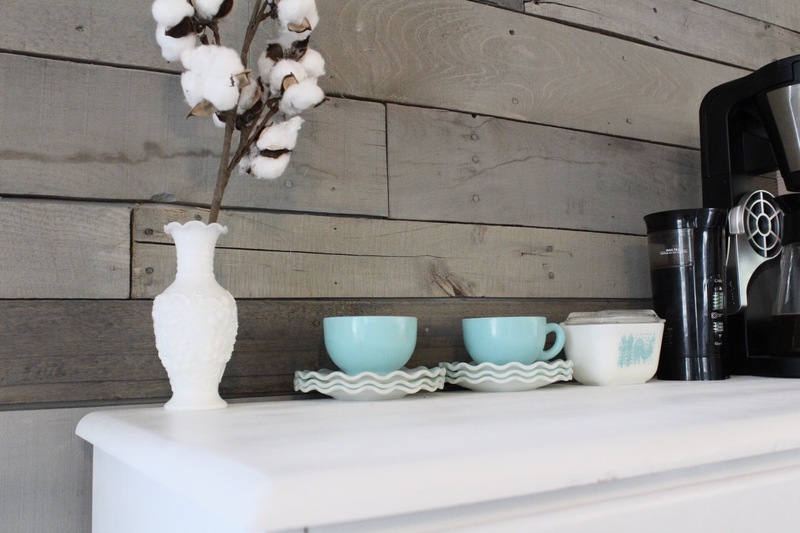 For awhile I’ve been wanting a coffee bar, so when we moved into our home I was so excited to put one together and this wood panel accent wall is a great location for it. This is our current set up for it but will change as I gather just the right pieces. So I collect a lot of vintage dishware, specifically aqua and pink Pyrex (our sugar container is aqua Amish Cinderella Pyrex 😍), Jadite and Hazel Atlas. I scored this amazing 8 piece aqua Hazel Atlas crinoline set for only $10 this past weekend! I have a larger set in pink but I rarely find the aqua, mega find! 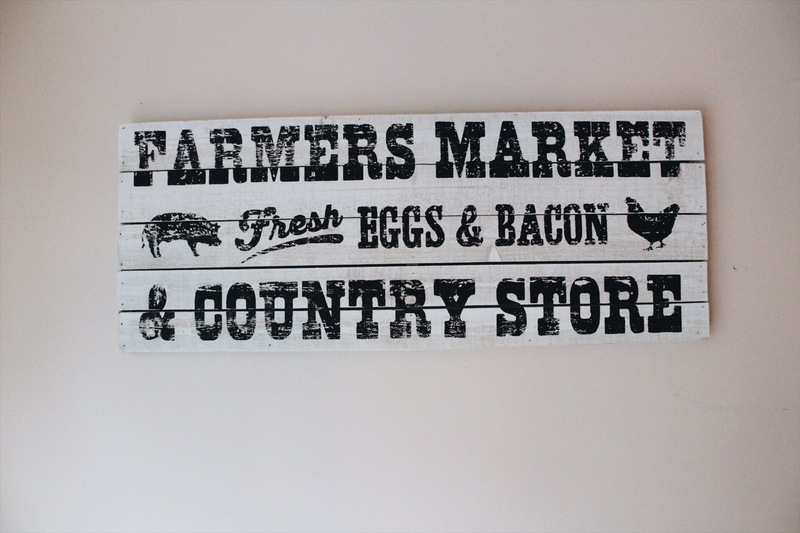 I bought this cute little sign at a store in Milford, NH called Robin’s Egg. It’s definitely reproduction but I thought it was sweet and fitting. Here is our window sill in our downstairs bathroom/Laundry room. Since we just moved things aren’t exactly in their permanent locations, but I found this particular setup to be content and serene. 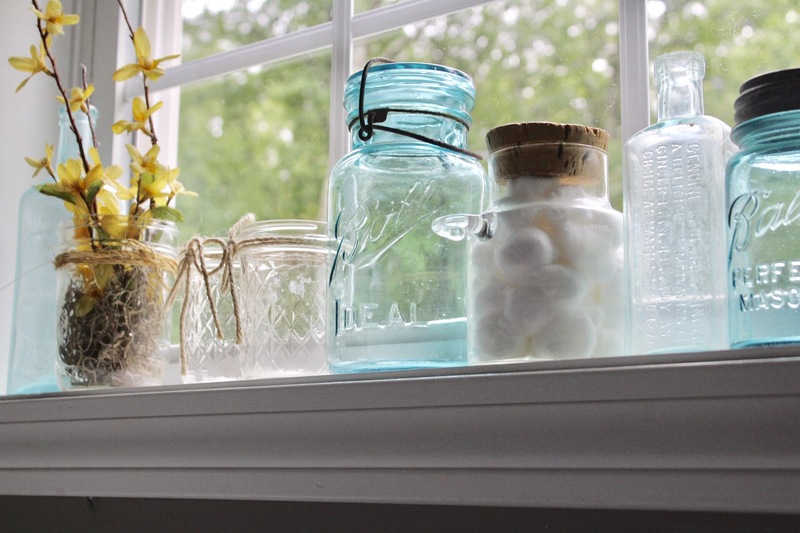 Old jars and bottles are so much fun to look for at flea markets and antique stores and have such a story to tell. Last weekend at the first Dublin Vintage Bazaar in Dublin, NH, put on my the Vintage Label Company. 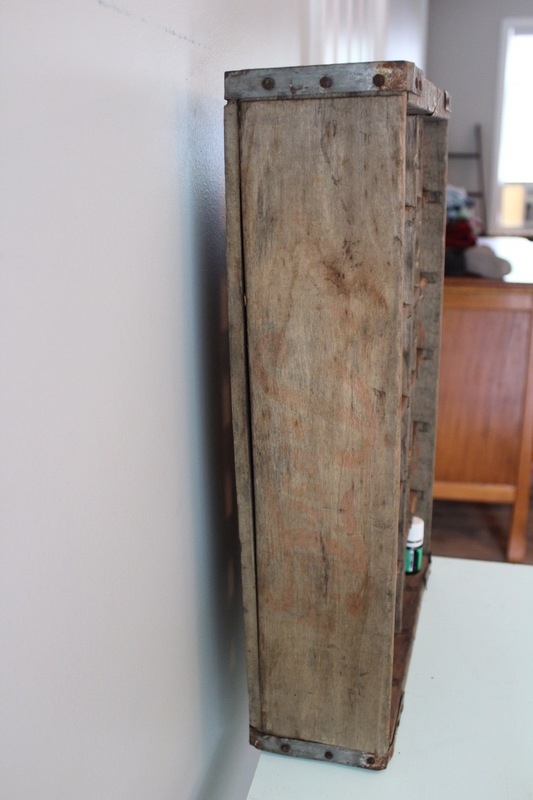 I picked up this great 24 space antique crate. It was used for Pepsi (which you can faintly see the logo for on the sides). Again, not in its permanent position but I will be placing it on a wall to hold my 5ml essential oils. 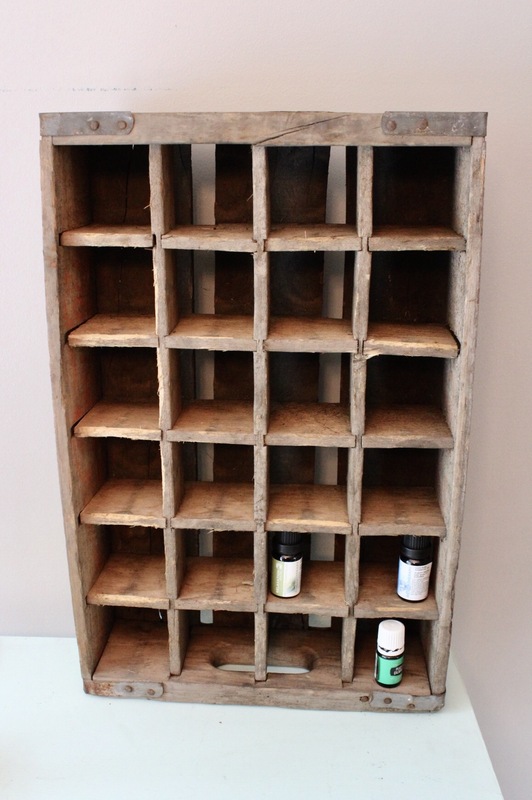 It’s a lot of fun to repurpose older items and give them new purpose! 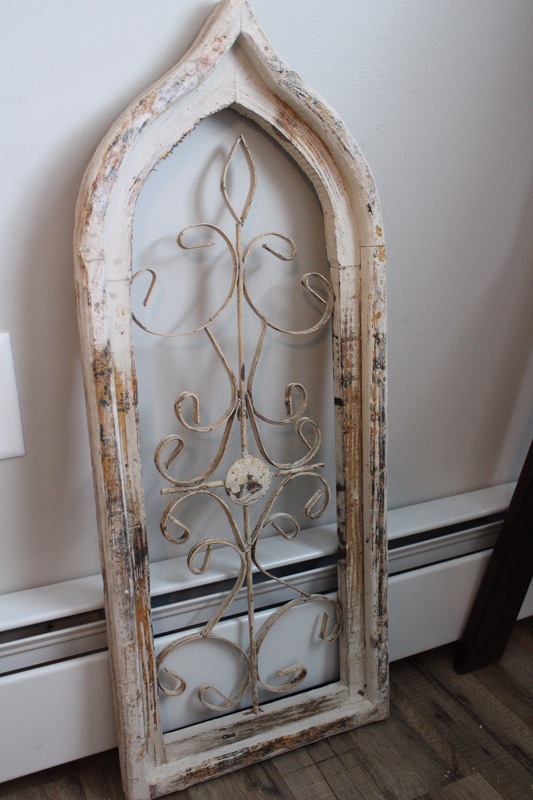 At the May 2017 Brimfield Antique Show, I purchased two antique style trellis decorations. I’m not sure if these are true antiques or reproduction. The man selling them had a TON of them. It kind of feels like chalk paint on them. Anyway, very cute and I love the look, and they were only $25 each. I am waiting on a piece to put between them before putting on my living room wall. So there’s a glimpse into some of my home decor! I can’t wait to post more as I continue to find treasures. Stay tuned to hear about my favorite antique stores and markets in the New England area! 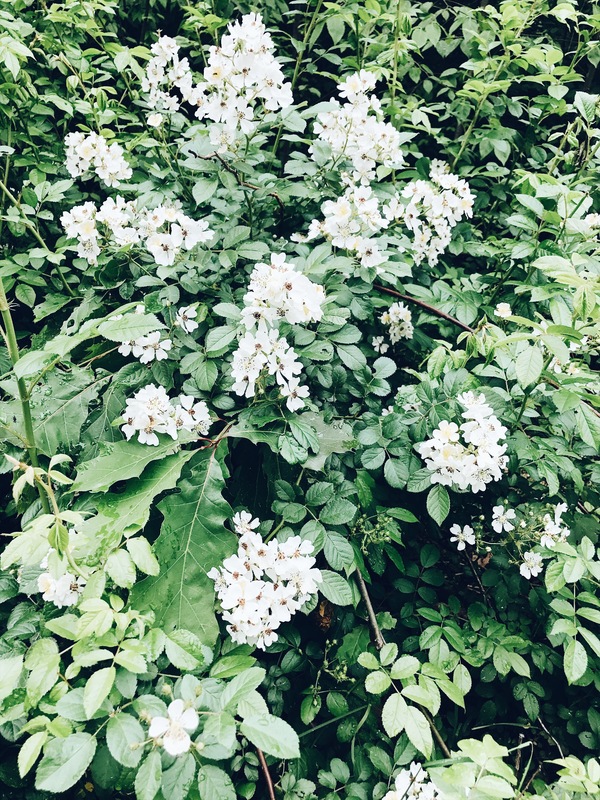 Excited to share my finds with everyone!